Each four week session starts & ends with a 1:1 chat with Ho'o. The goal is to create a plan of intentions & strategize the coming weeks. Your first conversation will provide the outline for success. This will make it easy to schedule, plan & form a working calendar. All you have to do is relax & follow through. Each day together will take you closer to achieving your goals. Ready to start? Are you spending more time on everyone elses needs? Need someone to walk/run with you? Wish there was a program that inspired you to eat well & stay fit? Ready to invest in your transformation? As a Plate By Zumba® coach and Registered Nutritional Consultant [RNC] I have the awesome opportunity to be your holistic lifestyle & fitness coach, offering you a fit-to-lifestyle type of approach. In other words it's fashioned to fit your lifestyle. If diet fads are confusing and overwhelming then you're going to love this offer. About - Learn about Ho'o here . Learn about Paish here . "5min Burst" - The science of turning your body from a sugar burner into a fat burner. These are done through a private Facebook group page. You can watch the Livestream at 6am PST or replay according to your time zone & sleep schedule. Bad Weather or Misc Closures - In the event of having to cancel a class we will reschedule a make up session. We also observe school closures & federal holidays & plan accordingly. We want to make sure that we fulfill a four week workout. 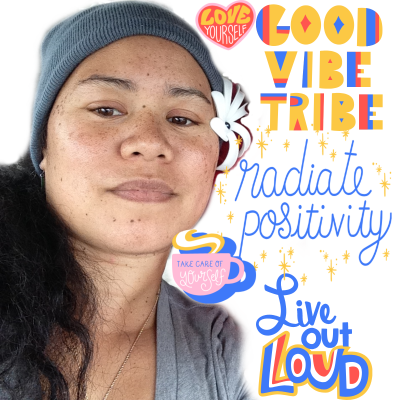 Community - MANA Wahine on Facebook is a private group page. This is where you can join a 6am "5min Burst" through Livestream or watch the replay. We also host random wellness rants & beauty tips. We reserve the right to remove anyone who isn't sharing positive vibes. Enrollment - All sales are final, we do not reimburse or carry over unused portions of your class fees. We charge for the month in advance & it is your responsibility to attend your sessions. Fit Foodie Program - Online class sharing the basic fundamentals to healthy weight management. Often it's our eating habits that deters a sweaty workout. This program allows you to work with a coach while accessing important information at your convenience through the e-class. It's fuel for your mind. STRONG By Zumba® - It's nothing like the parent company Zumba®. In fact they created a separate website & licensing program for SBZ. Preview a session here . Weekly Schedule - Tuesday & Thursday are in studio classes. Monday, Wednesday & Friday are home challenge days where we post it via Facebook. Zumba® - With all the dance fitness fads out in the world the Zumba® format plus music combination is still the best. Over 10+ years in the industry they're always innovating. Preview a song here.